Battle Ready: The new DJM-S9 two-channel mixer for Serato DJ puts the power of personalisation in DJs‘ hands, with a fast, accurate and customisable crossfader, plus Performance Pads and FX buttons that DJs can map to suit their preferences. The mixer delivers plug-and-play integration with Serato DJ’s four decks and boasts DVS support, on-board Beat FX, two USB sound cards, and a top-loaded input switcher for seamless DJ transitions. 9. Oktober 2014 9. Oktober 2014 UniTy Rec. UniTy Rec. Denon stellt im Spätsommer den neuen DENON MC2000 vor. Der kompakte 2-Channel-Controller richtet sich vor allem an Einsteiger und DJ-Neulinge. 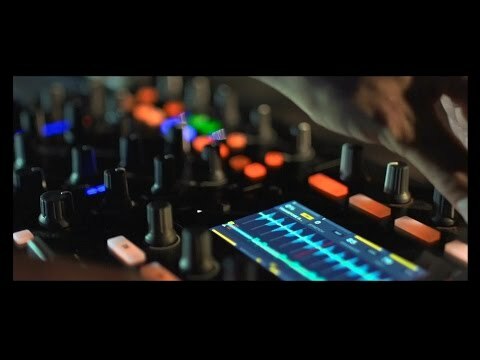 Der Controller arbeitet mit Serato DJ Intro und könnte sich als der ideale Einsteig in die Controllerwelt mit Serato entpuppen. For his next EP, Kolsch will release via Kompakt’s dance-focused series Speicher and the record once again showcases the unique and impressive sound that the producer is pushing. From the new album DONKER MAG coming June 3. A new track from Deadmau5 (pictured) was played by Pete Tong last night on BBC Radio 1.